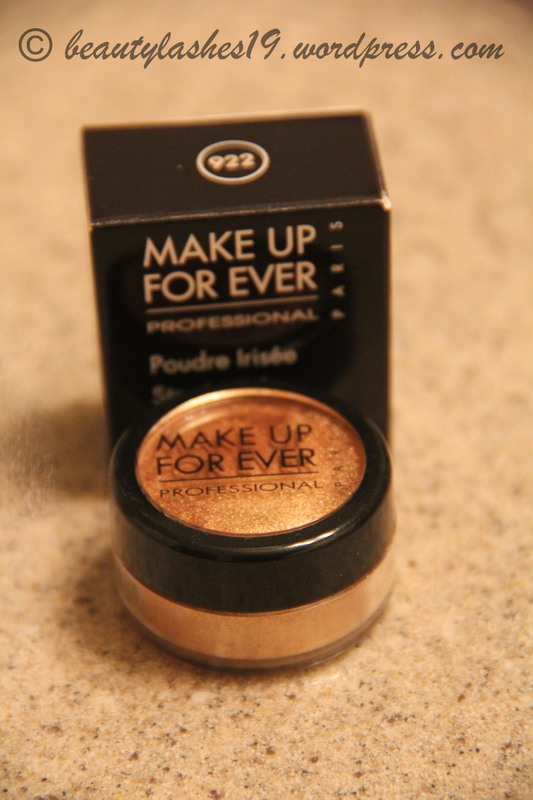 For all who know me, I am a great fan of golden eye products, especially if it can multi-task.. One such find was the MUFE star powder in #922 Copper.. 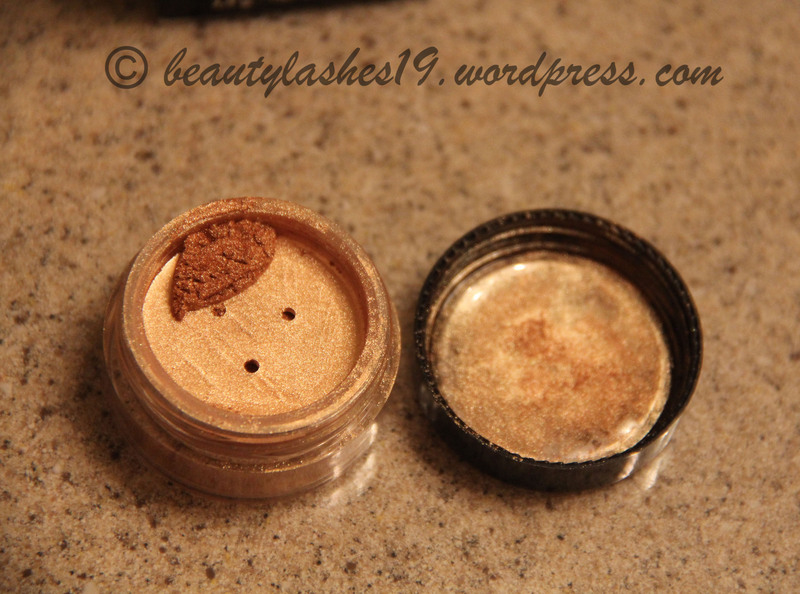 It retails for USD $20.00 and contains 0.09 oz.. Its a gorgeous gold-copper shimmer powder that is very finely milled.. It can be used wet or dry and is safe to be used all over the face.. Here you can appreciate how finely milled the powder is.. 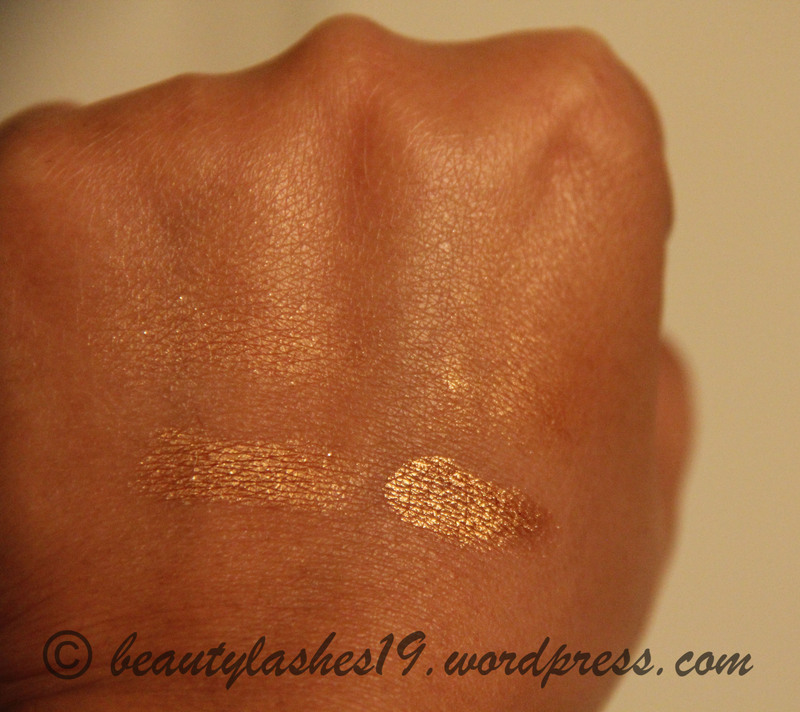 It has a silk-like feel to it.. and is extremely pigmented.. A very small amount goes a looong way! 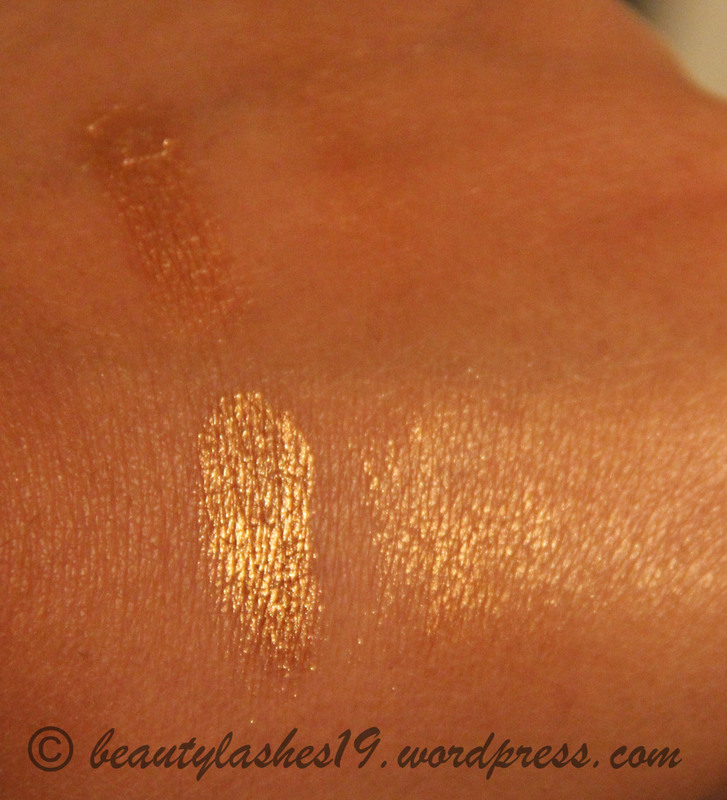 Heavy swatch on the left and blended out on the right.. 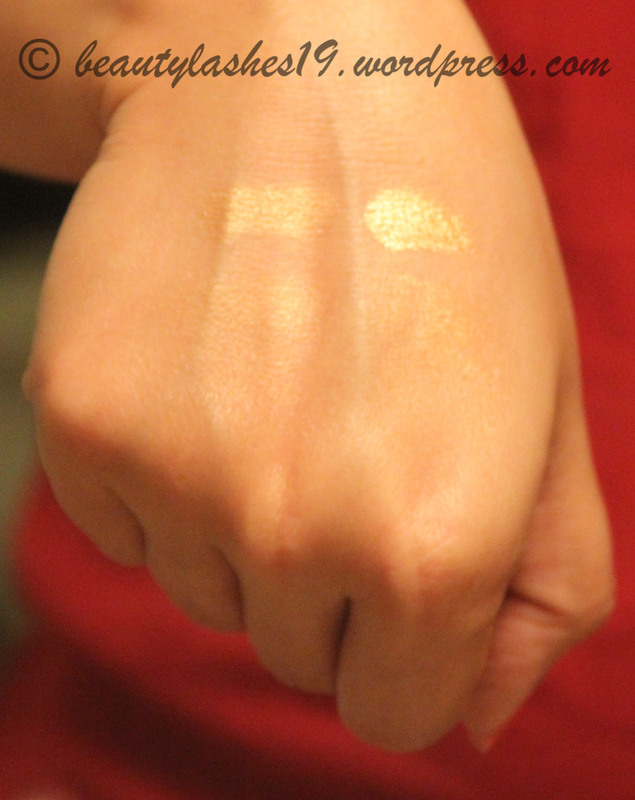 This looks amazing on the eyelids just by itself or with some light contouring in the crease or on the top of cheekbones to add a luminous glow for evenings out.. Can also be used on the cupid’s bow ever so lightly to make lips look fuller or at the center of your lips over lipstick to make them look voluminous.. Multi-purpose product! Love it!